Sun pants are a great part of the sun protection clothing line as a whole. 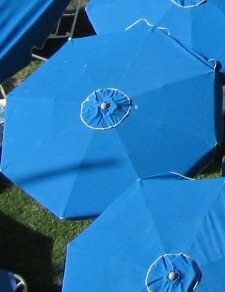 Even though you may be carrying a sun protection umbrella with you in order to cover your whole body, but it may be almost impossible to cover your legs especially the back at all times. Sometimes there is a belief or understanding that the lower the spot is relative to the sky, the safer that spot is from the Sun. Though this may be true technically but as far as your legs are concerned relative to your body, it could turn out to be somewhat different. Basically whenever you are outside and moving around, you definitely need to wear some kind of sun pants. These sun protection pants are usually made of specialty fabrics which either absorb or reflect the Sun's damaging ultraviolet rays i.e. UV rays. Sometimes you may not realize it that not only are you moving around, but so is the Sun. Therefore at some point your lower body, especially your legs will get exposed to the sun's rays. The use of UV umbrella helps you tremendously in your sun protection efforts. However, unless you are good at holding it at different angles at different times in order to protect you the whole time, then your sun protection benefits will be limited. At noon time, it's probably the best time and easiest time to use your sun protection umbrella since the Sun is right above your head. Even then your umbrella must be wide enough to cover you from head to toe. Early in the day or after noon time, is when the problem arises since the Sun keeps hitting you at different and lower angles. It is then, that sun pants play a crucial part of your daily Sun protection. As long as you wear your protective shoes, then your sun pants will protect you from the waist down. These are useful pants which are available in different colors, light or dark. The light ones usually reflect the Sun better and therefore keep you cooler. Depending on which company you buy from, these pants are easy to wash and easy to wear. Some also come with vented sides for additional airflow to keep you extra cool in the heat of summer. You will probably enjoy the Sun pants which have elastic waistband more than any other. These are very casual and comfortable pair of pants where you can always wear in order to protect your skin. They easily slip on and off without much hassle. This is very handy if you are at the beach and like to go for a quick swim (assuming you are wearing your bathing suit underneath it!). These sun pants are also great for travel, short trips, daily errands and activities. They are very light, stretchable and amazingly comfortable so that sometimes you might forget you have them on. 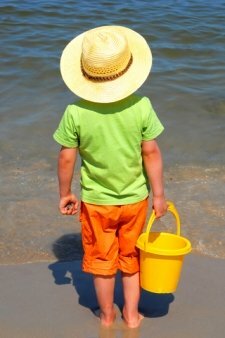 What else is needed in order to have a complete Sun protection package? The above list is not meant to be a complete or final package. Besides the sources found on this page for Sun pants , please see our site map for additional information.